Welcome to Russian Jack Apartments in beautiful Anchorage, Alaska. Offering affordable apartments for rent in a convenient location with friendly staff, Russian Jack is a great place to call home. 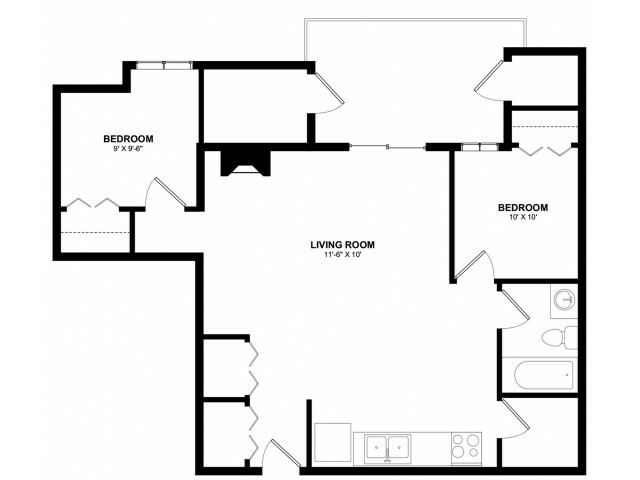 We provide spacious 1 and 2-bedroom apartments complete with cozy fireplaces, fully equipped kitchens, private balconies or patios, and extra storage units if needed. Select homes also offer full-sized washer/ dryer appliances for additional convenience. We’re a pet-friendly community, so be sure to ask about our pet policy! Russian Jack is located close to UAA, APU, Providence Hospital, Alaska Native Medical Center, and Joint Base Elmendorf-Richardson. If you have kids, then you'll appreciate that we're less than two miles from great schools like Williwaw Elementary, Russian Jack Elementary, Clark Middle, and East High. Anchorage is well-known for its outdoor activities and adventures, and Russian Jack is in a prime area that's nearby to Russian Jack Park, bike paths, bus routes, walking trails, restaurants, and boasts easy access to downtown. You'll quickly learn that Anchorage has all of the beauty of the great outdoors while still providing the convenience of modern-day living. If you're looking for an amazing Anchorage apartment to rent, visit Russian Jack Apartments today! Contact us at Weidner Apartment Homes to schedule your tour, we would love to help you find your new home.